I am a life-long learner and an avid reader. So when I find a subject I love, I immediately begin to research and discover all that is available. 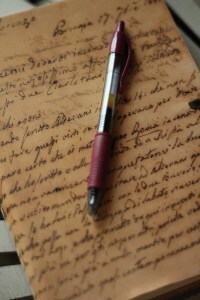 I have read hundreds of book on writing – and numerous books on journaling. This space will feature a list of those resources I refer to again and again. These are the cream of the crop. If you are interested in further reading on the subject, consider reviewing the bibliography section in the back of these books. There is a treasure trove of information out there – waiting to inspire you to begin a journaling routine – and to take a step towards revising your life. Since I am constantly reading, I will continue to add to this page as I find more valuable resources. If you have a favorite book or website to recommend that is not listed here, please share in the comments section below.